India’s annual electronic waste (e-waste) generation was 1.8 million MTs in 2016 and is expected to reach 5.2 million MTs by 2020. Mumbai stands first among the top ten Indian cities generating e-waste, followed by Delhi, Bengaluru, Chennai, Kolkata, Ahmedabad, Hyderabad, Pune, Surat and Nagpur. The government, public and private sectors act as the primary source of e-waste, accounting for 70 per cent. Individual households contribute only 15 per cent. The balance 15 per cent is produced by manufacturers. When this is the state of affairs vis-a-vis e-waste in India, it is high time theUniongovernment rises to the occasion to prevent the increasing environmental damage and health hazards caused by such waste. But first, let us understand what exactly e-waste is. Electronic and electrical equipment that have become unfit for their originally intended use or which have crossed the expiry date are called “e-waste”. Computers, servers, mainframes, monitors, CDs, printers, scanners, copiers, calculators, fax machines, battery cells, cellular phones, transceivers, TVs, iPods, medical apparatus, washing machines, refrigerators and air-conditioners are examples of e-waste. If e-waste is processed scientifically, valuable metals such as copper, silver, gold and platinum could be recovered from it. However, substances like liquid crystal, lithium, mercury, nickel, polychlorinated biphenyls (PCBs), selenium, arsenic, barium, brominated flameproofing agent, cadmium, chrome, cobalt, copper and lead, which are an inherent part of electronic equipment, are toxic and carcinogenic. If e-waste is dismantled and processed in a crude manner, its toxic constituents can wreak havoc on the human body. The cathode ray tubes (CRTs) present in computer monitors, with heavy metals like lead, barium and cadmium, may be harmful during the improper processing and cause an adverse impact on the human nervous and respiratory systems. In the same way, lead and cadmium present in the printed circuit boards, beryllium of the motherboards, mercury in switches and flat-screen monitors, cadmium in the computer batteries, polyvinyl chloride (PVC) in the cable insulation and bromine in plastic housing may cause damage to the human body parts such as nervous system, kidney and liver, lungs and skin, heart, lever and muscles, brain and skin, kidney and liver, immune system and endocrine system respectively. In India, 90 per cent of the recycling and disposal of e-waste is done by the informal/unorganised sector. Unskilled workers not only work without any protection measure or safeguards but also live in slums close to the untreated e-waste dumps and landfills. For instance, they don’t wearany glove or mask when they use nitric acid for removal of gold and platinum from the circuit boards. Usually, children are engaged in dismantling the circuit boards. The private and public sectors prefer selling their e-waste to informal dismantlers as they get more price since the expenditure is less when the recycling is done through the unorganised sector. The generation of e-waste in large quantities in recent years poses a serious threat to the environment and human health.What can be done to tackle the problem? First and foremost, inventorisation of the e-waste produced annually should be done by engaging an established government agency.Only then can suitable steps can be planned for recycling and disposal of e-waste in an organised manner. 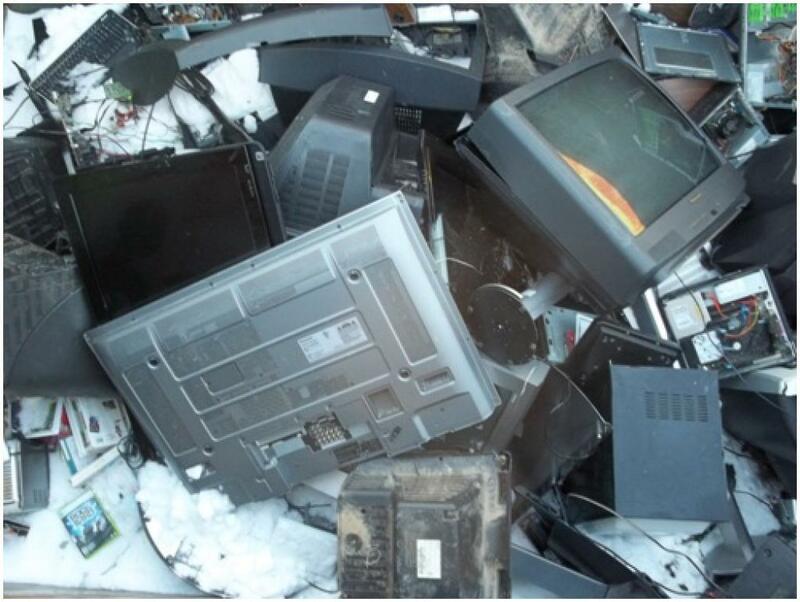 When valuable metals are extracted from e-waste, it can meet out our domestic requirement. In that way, our dependence on other countries for the import of such metals can be dispensed with. As e-waste contains toxic components, it is very much essential to segregate and dispose them scientifically and carefully in order to manage the environment sustainably. Awareness is key both for the stakeholders and consumers. Consumers also should understand certain intricacies. When they buy any electrical/electronic product, it may be somewhat expensive. However, after certain years of use, its lifetime may expire. At that time, it is better to dispose of them properly by selling such products to the organised sector. During that time, the product becomes scrap, and only the metal present may have some value. So, naturally it may fetch only a small price. But consumers are hesitant to part with the outdated product thinking of the original price they paid as well as some sentimentality attached to the product. Awareness programmes need to be conducted to make the public understand the real health problems caused by untreated e-waste and the value of the components, and guide them to dispose the e-waste properly, through an authorised sector only. Withthe Indian government promotingthe “Swachh Bharat” programme the country must be kept free of any untreated e-waste also. Considering the adverse impacts caused by untreated e-waste on land, water and air; the government should encourage the new entrepreneurs by providing the necessary financial support and technological guidance. Establishment of start-ups connected with e-waste recycling and disposal should be encouraged by giving special concessions. The unorganised sector has a well-established collection network. But it is capital-intensive in case of organised sector. Therefore, if both the sectors coordinate and work in a harmonious manner, the materials collected by the unorganised sector may be handed over to the organised sector to be processed in an environment-friendly way. In this kind of scenario, the government can play a crucial role between the two sectors for successful processing of the e-waste. It is high time that the government takes a proactive initiative to recycle and dispose of e-waste safely to protect the environment and ensure the well-being of the general public and other living organisms.